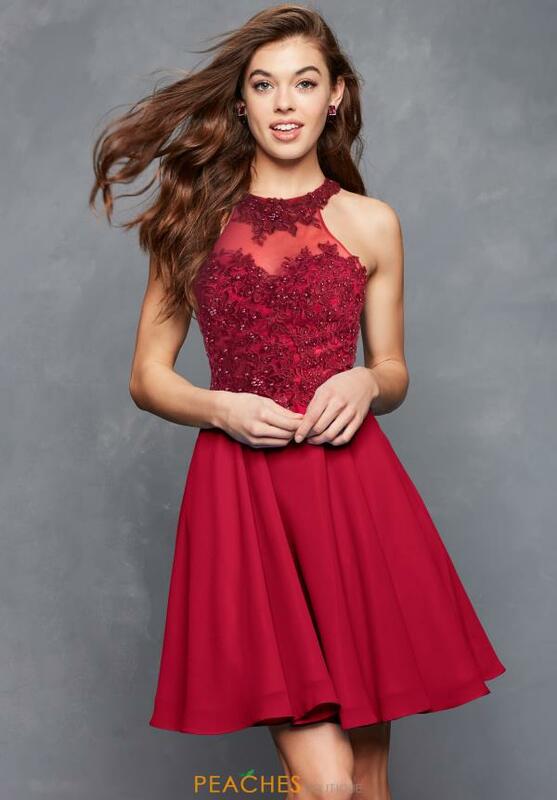 Be the lady in red in this Clarisse homecoming dress S3528. This stunning scarlet dress has a high halter neckline with floral applique. The bodice and the open back are covered in the same applique, adorned with beads to make the flowers shine. The waistline ends neatly, and transitions into an A-line chiffon skirt which flows effortlessly as you dance the night away.